“Thar she is,” the captain pointed. She stared at the lighthouse across a desert of stacked ice shards and patches of wet cold. Might as well be ten thousand, she thought. Years, too. He’d left the engines idling but refused to get her any closer. Would not lend her a kayak, either. “Too chocked up,” he’d said. She reiterated her urgency but still he would not be swayed. “She’d give up her ice soon,” he nodded at the lake. His attempt at kindness. Soon would be too late. She swallowed bitterness. The estate was scheduled to be liquidated the next morning. Without photo proof of her early childhood scrawls in the lighthouse’s attic, she’d lose the inheritance. Illegitimate in a whole new way. You tell this story fluently, and where you use description you pick out the most important details. 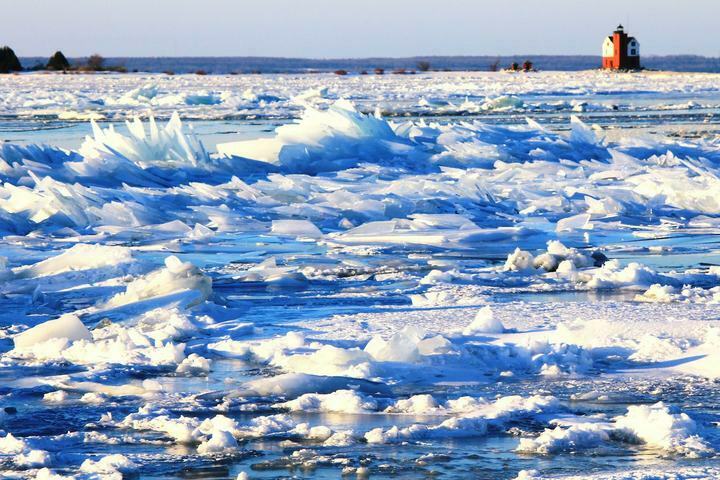 For example, “a desert of stacked ice shards and patches of wet cold” tells us why she can’t cross the ice to the lighthouse. ‘Grizzled’ is an excellent summing up of both the appearance and the manner of the sailor. Nicely written with vivid descriptons. I love how the descriptons are told in so few words. (Also hope that she gets her inheritance). Echoing the comments above. I especially liked your description of the ice shards. The captain is also drawn very nicely. I wonder if on “childhood’s” you might want to leave out the ‘s ? The tension is very high in this piece. Well done! Very well done, Na’ama. Loved the descriptions and I can so feel her frustration and despair. So close and yet so far. I hope she finds a way. Well she seems to be stuck between icy lake and a stubborn captain! This is called so near yet so far. A poignant story of forgotten cold. I love the idea she grew up on a lighthouse and why did she scrawl in the attic and not be blinded by the light… and she wants to come back… some mesmerising magic at work here. Loved it. Marvelous writing! I loved the language, the deft story telling, and the way the stakes escalated at the end. Great to have you on Pegman! Thank you! What a great comment!